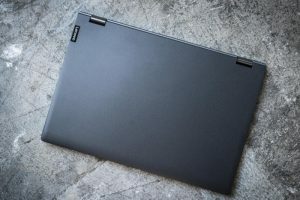 Lenovo’s 14-inch Lenovo IdeaPad Flex 6 is a new 2-in-1, which amazingly, starts at just $470 (reviewed at its $807 configuration), and offers almost everything you need to function well with an on-the-go PC. 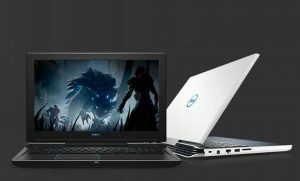 Without the risk of breaking the bank, the Flex 6 features 8th Generation Intel, and Nvidia GeForce graphics, aimed to cater to productivity, entertainment, and even some light gaming. However, both its dim screen and (shockingly) lackluster graphics are discouraging. You’d surely expect a convertible featuring discrete Nvidia graphics as something you could rely on. 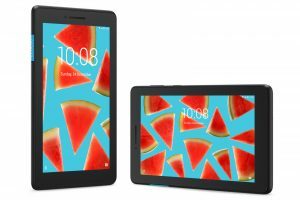 Still, this system gives plenty of use to those who wants perky performance, and a good battery life, all in a relatively cheap, thin-and-light package. 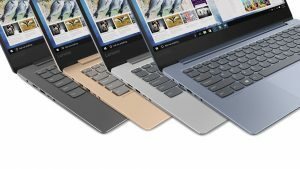 The Lenovo Flex 6 is a 14-inch 1920 x 1080p convertible with a listing price lower than contenders with the same display size, and CPU processor, such as Asus’s ZenBook Flip 14 at $900. The system measures 12.9 x 9.0 x 0.7 inches, weighs 3.75 pounds, and features an onyx black exterior atop of a durable plastic shell. 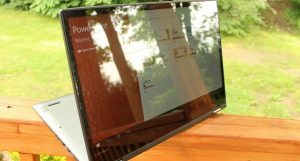 It’s not quite as thin and light as its more portable competitors, but in lew of getting the hinge right, the Flex 6’s twin hinges are anti-wobble, sturdy guides for clamshell, tent, laptop and tablet modes. 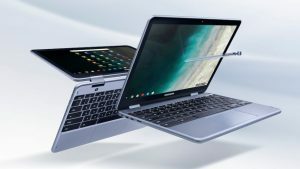 Traveling along the rounded edges of the machine, you’ll find an HDMI port, power port, a USB 3.0 Type-A, a USB 3.0 Type-C, and a combo audio jack on the left. On the right side of the machine, lives the power button, an SD card reader, another USB 3.0 Type-A, and a Kensington Lock slot. Unfortunately, the Type-C port does not support Thunderbolt 3 charging. Speaking of charging, the Flex 6 has a 45 watt-hour battery, capable of a 7.5 hours of life on average. Not bad, but also not as long-running as other systems with comparable specifications. While its Full HD LCD screen may seem sharp, full of color even, it quite literally falls short of brightness, allowing for only 224 nits when put at its max. Considering 250 nits of brightness is the low-water mark for having a pleasant visual experience indoors, especially near window light, the Flex 6 plummets. 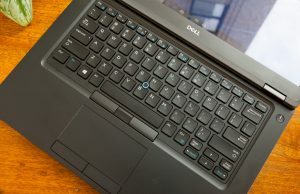 On the “bright side”, viewing angles and inverse hues have not been misjudged, a feature that is very often found on low-priced laptops. 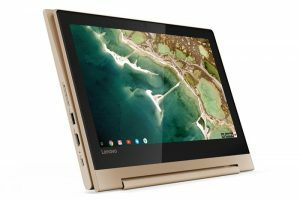 Along with a roomy, backlit keyboard, a responsive, tranquil trackpad, and 10-point multitouch support, there’s also the helpful functions of Lenovo’s Active pen and USB holder with 2,048 levels of pressure sensitivity ($40), and the Flex’s fingerprint reader. For entertainment value, Lenovo’s Harman Kardon Speakers do just enough, perhaps a step above average for laptop speakers. With the Flex 6’s convertible form factor, there is always the positive attribute of having so much more functionality than a clamshell laptop. However, since clamshells usually run a bit more powerful, let’s see how performance stacks up. The Flex 6 14 has an Intel Core i5-8250U CPU processor, and 8GB of DDR4 RAM- both of which are not half bad, with the 8th Gen U-series chips now being quad-core, meaning more power. 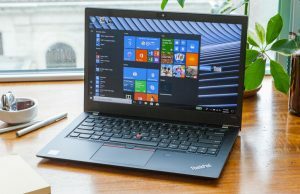 Also, anything less than 8GB would be a mistake for even a low-priced device, so Lenovo did good here, as new PCs should all provide enough RAM memory to run the basic functions consumers require. The SSD, at 256GB, is a just fine size for this low-priced convertible. 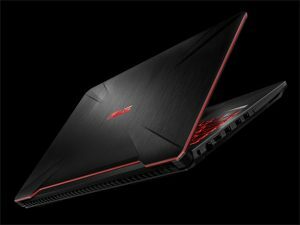 The dedicated graphics include Nvidia’s GeForce MX130, along with 2GB GDDR5 memory- a step above Intel integrated graphics, but performance-wise, comes up short. This is disappointing, and surprising, considering most convertibles come with an integrated GPU, and the Flex 6 has one that should beat Intel’s. 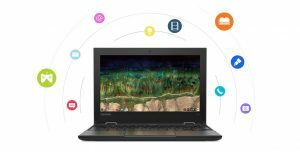 Starting at such a low price-point, Lenovo made it’s IdeaPad Flex 6 14" one of the cheapest 2-in-1s around featuring 8th Gen Intel. It will not impress you in the display department, as mentioned, nor will it with its iffy graphics performance. 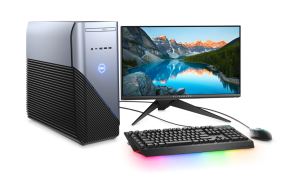 Remember, however, that it is a relatively speedy performer, and unless you are all about photo editing, gaming, or anything that requires higher-running system graphics, you could definitely consider purchasing the Flex 6. 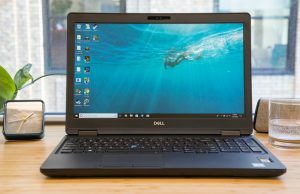 It has the performance marks for achieving your productivity needs, yet for more graphics support, you might want to veer your eyes elsewhere. 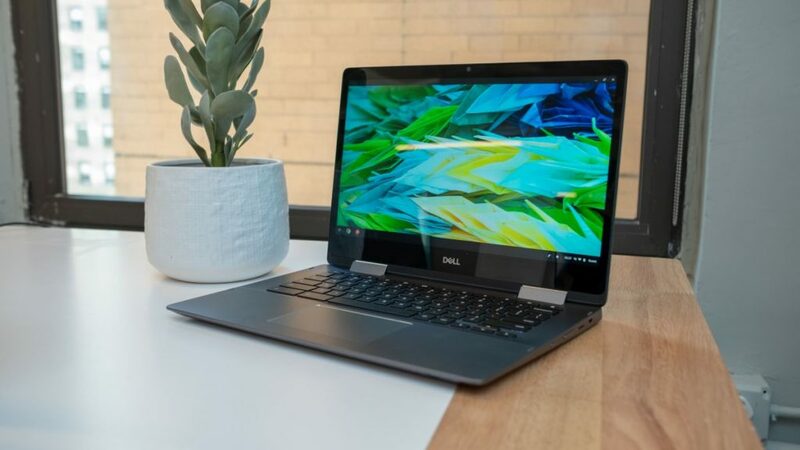 Perhaps the smaller Dell’s XPS 13 2-in-1 9365 would better suit you. 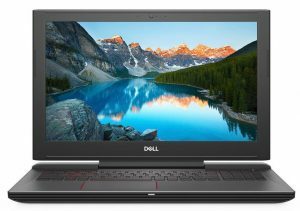 It has a higher price, but clears away any probable disappointment, particularly the issues found here, with its QHD+ InfinityEdge touchscreen display, and powerful Intel HD Graphics 620 with shared graphics memory. BS! I have the exact reviewed model.and you’ll NEVER get anywhere near 7 hours on a 45-watt hour battery unless it’s in the lowest settings for power and screen brightness at about 30% with Wi-Fi off. VERY deceiving. I get 4.hours MAX! The battery life in all these reviews is BS. You’ll get nowhere near 7 hours especially with the Nvidia discreet version and even the integrated Intel version only gets a max of roughly 4.25 hours (again if most things are off, turned down and you’re doing something minimal like reading an ebook. I love mine but I also KNEW the battery wasn’t great and the brightness an issue but I mainly use it where I always have power and never use it outside so the screen for me is fine. It does charge pretty quickly and thankfully, because you’ll be doing so quite often.